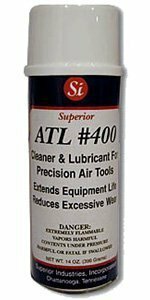 Lubricates Air Tools:Cleans & Conditions:Stops Rust & Corrosion | Superior Industries, Inc.
ATL #400 is a cleaning lubricant that is used to prevent rust and corrosion for pneumatic tools. It is designed to eliminate calcium build up and moisture in air lines. ATL #400 dissolves harmful sludge and dirt to recondition, lubricate and clean air tools. It lubricates all moving parts and restores maximum power and RPM’s. Regular use of ATL #400 prevents maintenance down time and costly repairs. 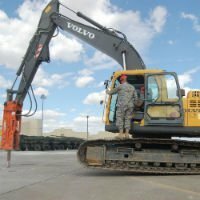 ATL #400 will extend equipment life and prevent costly downtime and repair cost. 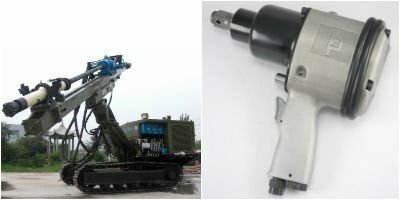 ATL-400 is the professional’s choice for lubricating pneumatic equipment used in mining, manufacturing, marine, foundries and many other types of industry. This synthetic lubricant/cleaner incorporates a special solvent which helps completely remove any type carbon, rust and sludge from expensive equipment. Regular use of ATL 400 has proven to extend the life of costly pneumatic equipment and prevent costly downtime especially in dusty and humid conditions. This pneumatic lubricant/cleaner should be your first choice when choosing the most effective lubricant/cleaner for the most demanding conditions where air operated tools are used. In conditions where air borne contaminants are more prevalent, ATL-400 should be used often and a regular lubrication cycle should be established. This air tool lubricant/cleaner does not contain harsh fumes and can be used safely in confined spaces.